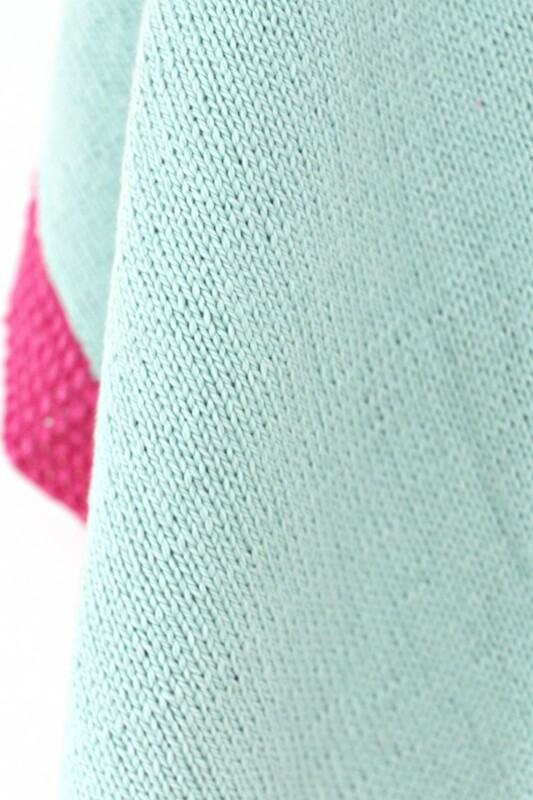 I’m so excited to finally be able to share the details of this blanket! I’ve had it mind for baby Sally even before she was conceived. Novice knitter that I am, this blanket still worked up beautifully. 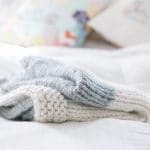 I keep folding and unfolding it, reveling in it’s softness and imagining a squishy new baby snuggled between the folds. You’ll also see a few random “ribs” in my blanket. These are honestly my real mistakes that I ended up leaving unfixed- I decided they added a cute quirk and a Mama touch that I now really adore. 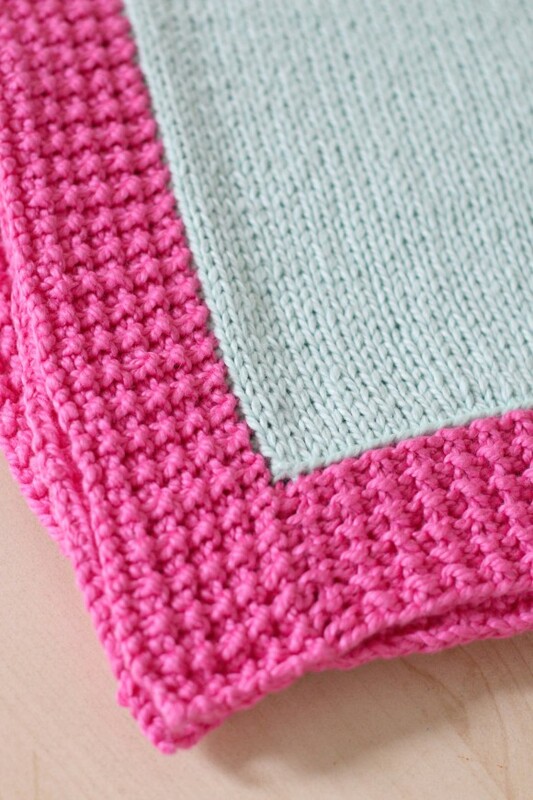 The yarn called for in the patter is slightly over what is needed for the blanket dimensions created by following the pattern exactly (72cm x 78cm). I hate wasting yarn and am kind of the no-blanket-is-too-big side of the fence so I made my blanket longer and more rectangular to use up more yarn. 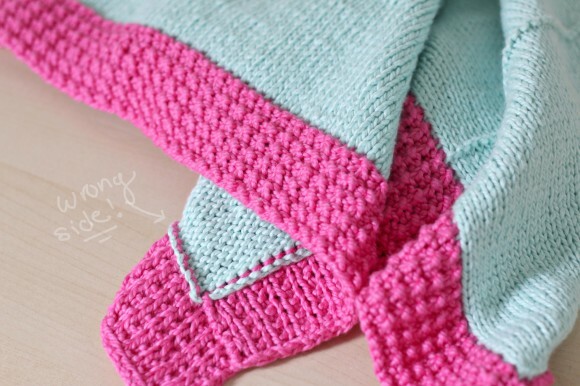 Definitely a great and versatile pattern to use for all of your baby gifting needs. Trust me, Mom and baby will LOVE this one. *The fibers of this particular yarn DO NOT machine wash well. 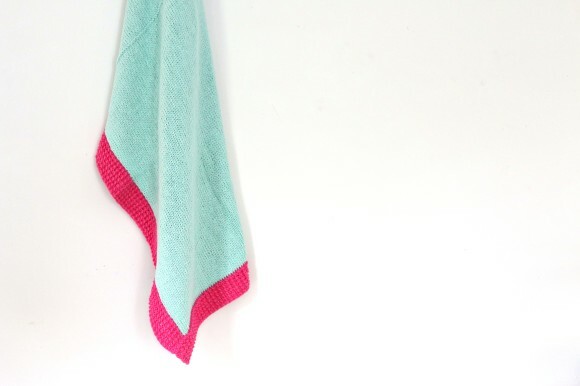 Spot clean only with lukewarm water and, if necessary, baby soap. 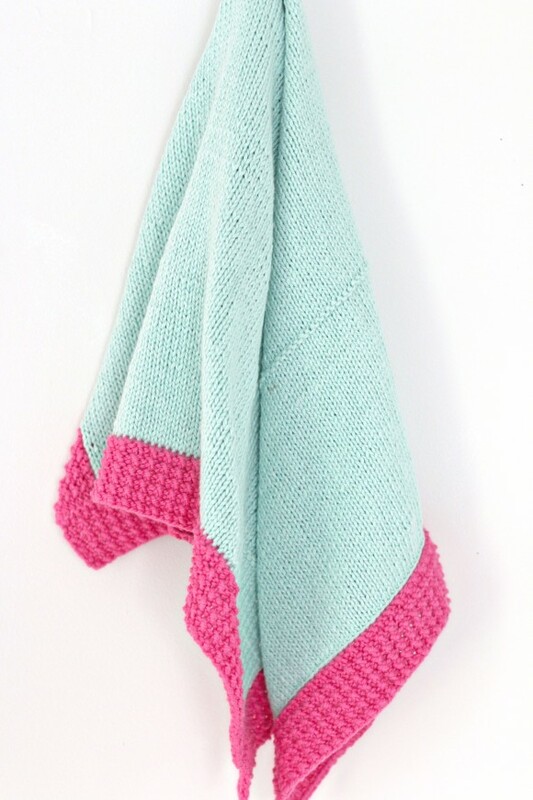 If the blanket does get wet, lay it flat to dry on clean towels, smoothing it to it’s original/desired shape and it will dry that way. (Commonly referred to as blocking when discussing shaping knit items that have been fully submerged.) My girls both have many knit and crochet items from this particular yarn. I’ve often wiped away a spot or stain with baby wipes or spot cleaned with no problems at all. 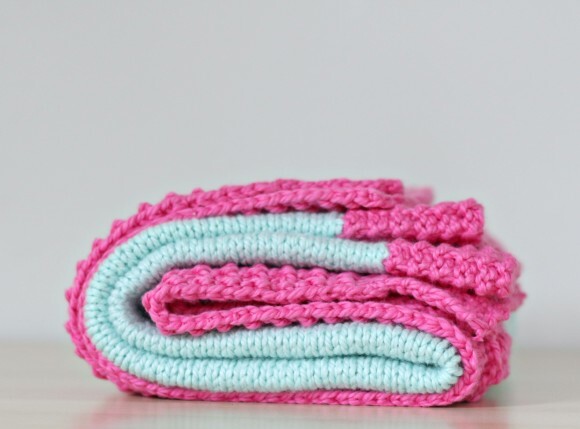 I use the blankets often just keeping in mind it’s probably not the best surface to use for changing a diaper or finding out if your baby likes peas or not. 😉 But if you really want a more washable fiber, something synthetic will be better for your needs. Hope you add it to your pattern que. Definitely a beautiful finished product. 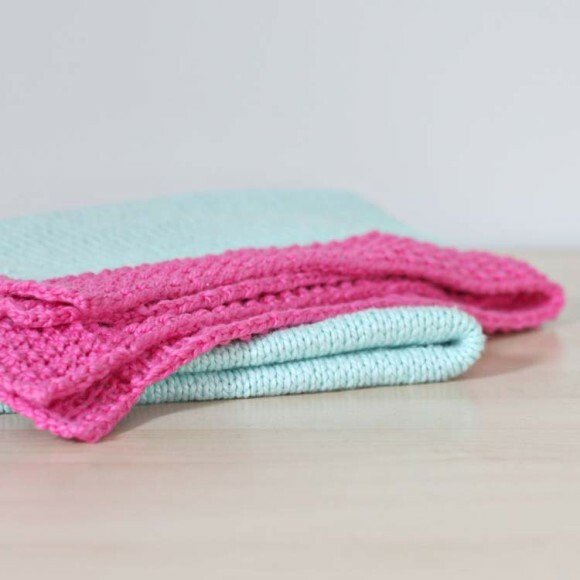 Quick and Easy Fall Seed Stitch Knit Throw or Baby Blanket – Free Pattern! « Just 8 Hours Old : Meet Baby Jones! 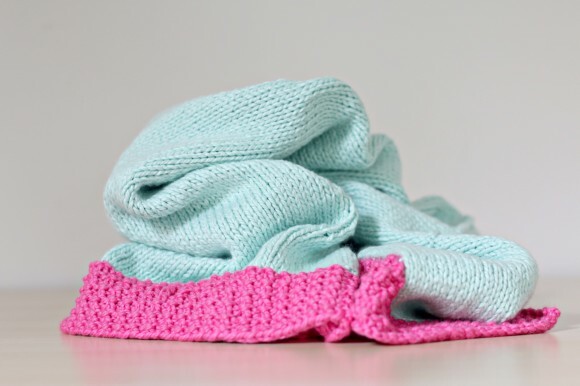 I LOVE the blue in this blanket, would you mind sharing what color it is? Thank you!! 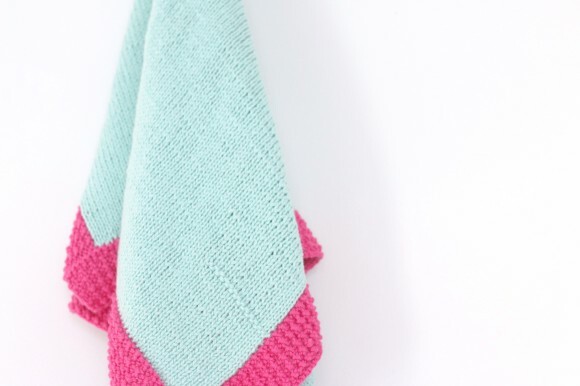 Yes please, can you share what this gorgeous Aqua color is? Gorgeous! Hi, nice blog. 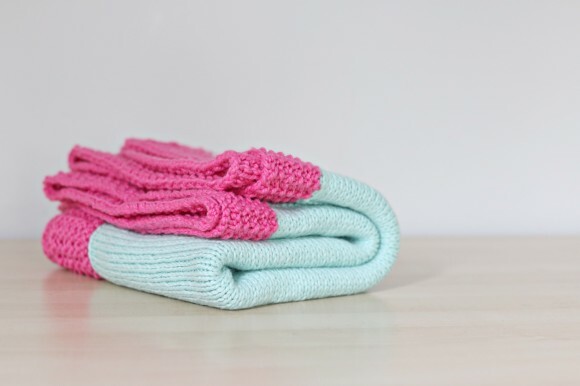 The baby blanket is one of the best options for people to keep their kids warm in winter. Keep sharing more information like this. 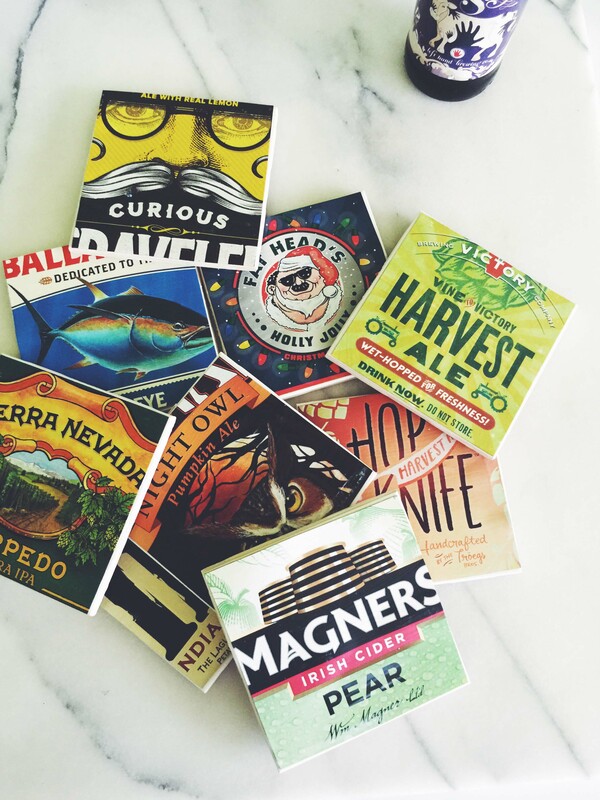 DIY Beer Box Coasters – An Awesome “Man” Gift!